Here I was going to be good about writing a post every Friday with some of my favorites from the week. I had a librarian's district meeting today and completely forgot. I don't even know if I want to get into how the meeting was so I am just going to focus on the books. 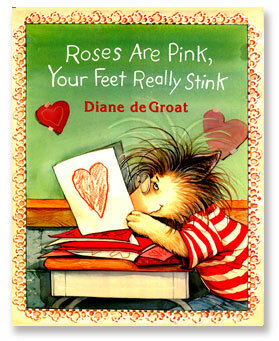 Do you have Valentine books you love? Kids love it but need to be reminded it is about caring about your friends and family not about the mushy stuff. Leave that to the teenagers, like my son who took it upon himself to locate and send flowers to his girlfriend-arriving on the day, a mixed bouquet. Hmmm. On that note I'm finishing my tea and heading to bed. Another busy Saturday awaits me. **Stop back next Friday...I haveoh, so many Black History books to share.